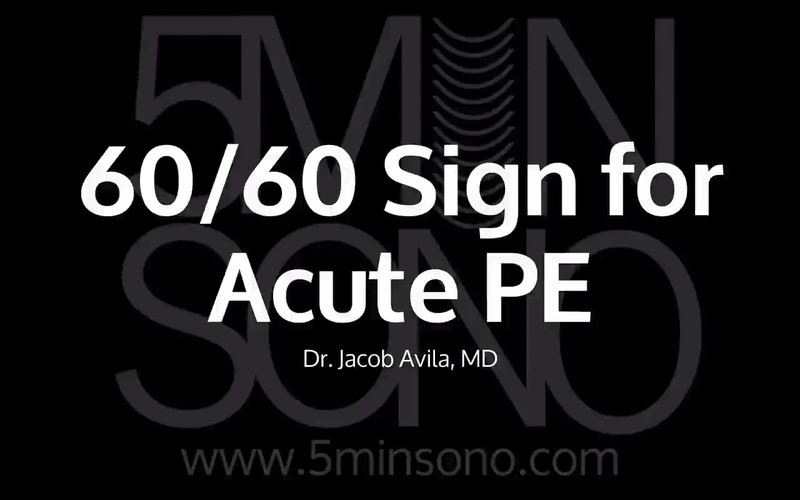 Learn the 60/60 sign for acute PE in around 5 mins! Come hang out with us in Versailles, Kentucky at Castlefest 2018! Do you feel like Versailes, Kentucky not beachy enough? Come to Cabofest instead! Offer code “5MINSONO10” gets you 10% off! Love this format! I’m looking for the follow-up to your blog on RHS(Part 1) to tell the difference echocardiographically between PE, COPD, and RV infarct.